The tweet reads "If someone had told me in 2015 that it was possible for an African Artist making African music to generate over one million dollars in streaming only revenue I would not have believed!! Woke up to a very nice alert hitting the account!!! Praise Master Jesus!!!" 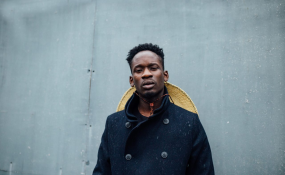 Mr Eazi is set to hold a listening party for his yet to be released sophomore studio album titled "Life Is Easy Volume 2, Lagos to London" on November 8.